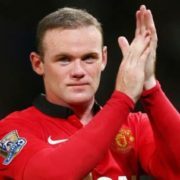 Wayne Rooney is an English footballer of Irish descent, the captain of Manchester United and the England national football team. He is recognized the best English player of his generation. At the age of 10 he began playing for Everton Youth Academy. 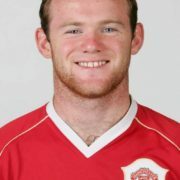 In the summer of 2004 Wayne moved to the Manchester United for 25.6 million pounds. 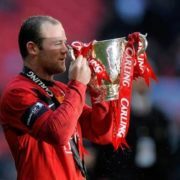 Since then, he has won five Premier League titles, UEFA Champions League, FA Cup and two Football League Cups. 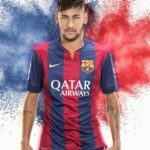 Also he became the owner of such awards as English Premier League Player of the Season, PFA Player of the Year and FWA Footballer of the Year in 2010. 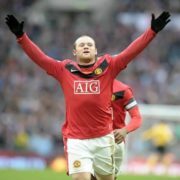 He is the second in the list of top scorers in the history of Manchester United (245 goals). 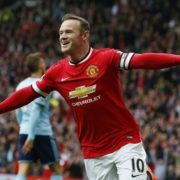 He is also the second in the list of top scorers in the Premier League (192 goals), and is the record holder for the highest number of goals scored in a single Premier League club (178 goals for the Manchester United). In 2003 he made his debut for England. He is the youngest player to score a goal for England. He played in three European championships (2004, 2012 and 2016) and three world championships (2006, 2010 and 2014). 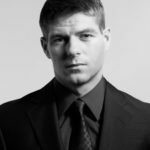 He is the top scorer in the history of England national football team (53 goals). 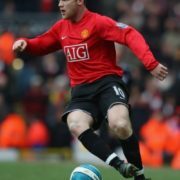 In October 2010, Rooney headed the list of the highest paid players in the world, with a salary of 250 thousand pounds per week. 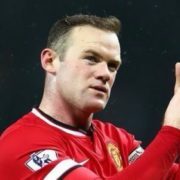 In 2013, Rooney was recognized as the richest footballer in England, having 45 million pounds. 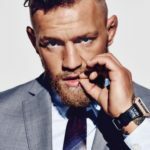 In 2016, he was recognized as the richest athlete in the UK (82 million pounds), ahead of Andy Murray and Rory Mcllroy. 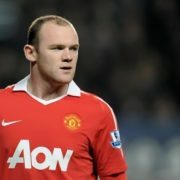 Wayne Mark Rooney was born on October 24, 1985 in Liverpool, England. He was born to Thomas Wayne Rooney, a handyman, and Jeanette Marie Rooney, a housewife. Wayne was the first child in the family, and later two younger brothers Graham and John were born. The children studied at a Catholic college in Liverpool. In his childhood Wayne played football in the streets. At the age of seven he played for Western pub team and scored a winning goal. Later he played for the school team scoring 72 goals for the season. At the age of ten he joined Everton. 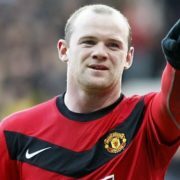 In 1995/96 season Wayne had scored 114 goals in 29 matches. 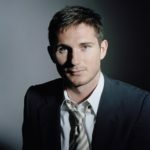 In 2002, he scored eight goals in eight matches of the Youth FA Cup. 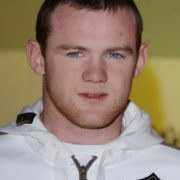 In December 2002, Rooney received the award as the best young athlete according to BBC. 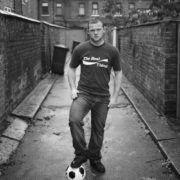 In January 2003, Rooney signed the first in his career professional contract with Everton and became one of the highest paid young players in the football world with a salary of about 13 thousand pounds per week. 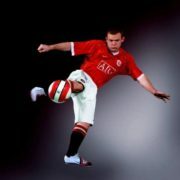 On August 31, 2004 Rooney was transferred to the Manchester United for about 20 million pounds. 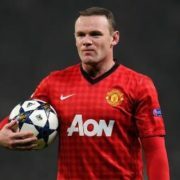 On May 21, 2008 Rooney played in the UEFA Champions League and became UEFA Champions League winner. 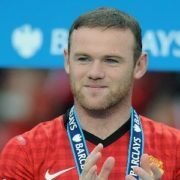 On April 25, 2010 Rooney was named Player of the Year. In 2014 he became the captain of Manchester United. On August 28, 2014 coach Roy Hodgson appointed Wayne Rooney new captain of England national football team. The match against Slovenia, played on November 15, 2014 became the hundredth for Rooney in the national team. 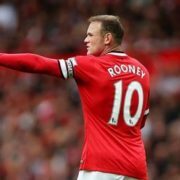 September 8, 2015 in the match against Switzerland, Rooney scored his 50th goal for the national team and was the best scorer in the history of the national team, breaking the record of Bobby Charlton (49 goals), which lasted 45 years. As a child Wayne was fond of boxing and football. At the age of 15 he had to quit boxing to play football seriously. Wayne’s favorite group is Stereophonics. Rooney has a tattoo with the inscription Just Enough Education To Perform – the name Stereophonics’ album. The band performed at Wayne’s wedding. Wayne also has a tattoo on his shoulder with the English flag and the words English and Proud (left shoulder), Coleen tattoo (the name of his wife) on the right hand, as well as a tattoo with the name of his son Kai on the back. On June 12, 2008 he married Coleen McLaughlin, six years after they met. 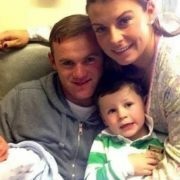 On November 2, 2009 their son Kai Wayne Rooney was born. 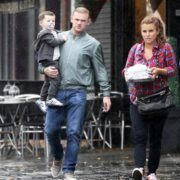 On May 21, 2013 Coleen gave birth to a second son, named Clay Anthony Rooney. Their third son was born on January 24, 2016. 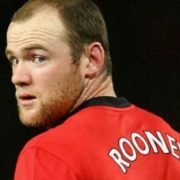 Wayne’s younger brother is also a professional footballer. 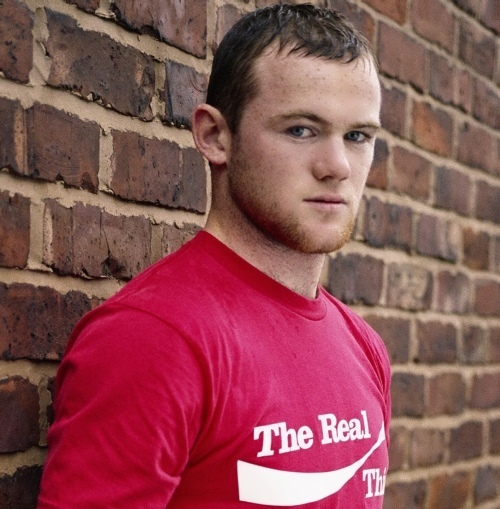 Rooney has signed advertising contracts with Nike, Nokia, Ford, Asda and Coca-Cola. 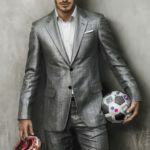 He appeared on the cover of the four editions of FIFA games by Electronic Arts from 2005 to 2010. Rooney’s biography My Story So Far written by Hunter Davies was published after the 2006 World Cup. The second book, written by football journalist Chris Hunt, is The Official Wayne Rooney Annual. Wayne’s third book, My Decade in the Premier League, was released in September 2012.